Are you maximizing your investment’s potential? Find out now! ONLY THE HIGHEST QUALITIY RENTALS! Online tools to make your stay comfortable. Our extensive screening & proven leasing system provides you with quality residents, eliminating the day to day stress of managing your investment. We don’t just manage rental property, we buy houses at discounted prices to keep as rental properties, or to fix up and sell. Contact us today for your offer! Tired of property management altogether and want to get out of the business? We can help and are always interested in expanding our operation. Property Management is Our Specialty! PMI Virginia is a different kind of property management agency. Selecting the right property management firm for your needs can be difficult; many times business owners select the firm that offers them the lowest quote, only to find out that when it comes to property management, all too often you do indeed get what you pay for. With a hands-on approach focused on delivering unsurpassed customer service, a vast amount of experience in every aspect of property management, and a huge variety of industry contacts and connections to take advantage of, PMI Virginia is the firm to hire when you are interested in improving your efficiency and keeping more of your collected rent in your pocket. We are your complete property management company servicing Virginia Beach & surrounding areas. 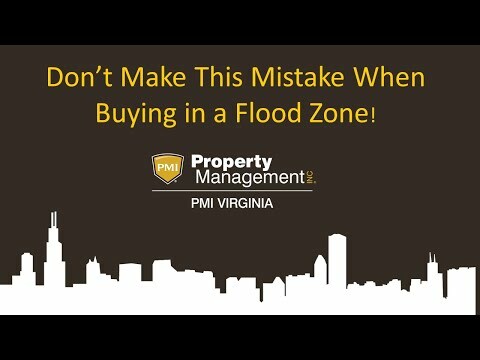 Buying in a Flood Zone? - Learn from one investor's very expensive mistake about why you need to check with your building permit office BEFORE buying a property located in a flood zone!